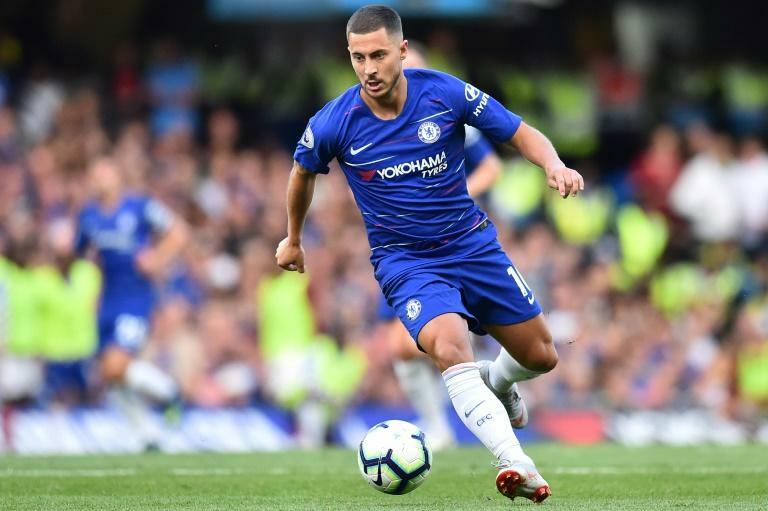 Eden Hazard is set to make his first Chelsea start this season against Newcastle on Sunday after Blues manager Maurizio Sarri insisted there is no chance of the Belgian star being sold. But Sarri is adamant the Chelsea playmaker won't follow in the footsteps of his compatriot Thibaut Courtois's move from Stamford Bridge to Real earlier this month. After using Hazard as a substitute for Chelsea's Premier League wins over Huddersfield and Arsenal while he recovered from his World Cup exertions, Sarri is set to start the midfielder at St James' Park this weekend. "I think Eden is ready for 50 or 60 minutes, I don't know for 90 minutes, but he can start," Sarri told reporters on Friday. "I am the coach of a very good team, a very great club, and so I think with such an important player I cannot sell without the possibility to buy another player at the same level. "So I think Eden will stay with us for the whole season." "It was only a decision about the positions I chose to put on the bench to win," Sarri added. "I have spoken with him twice this week, after I spoke to the club, so I think that Loftus-Cheek will remain with us. "We can speak again about his situation, but only in December." There are reports from Turkey that the 32-year-old is a target for Galatasaray and Sarri admitted he can't find a place for him in the team ahead of David Luiz and Antonio Rudiger at present. "With Cahill I think at this moment for a defender it's more difficult to play in my team after only 20 days of training," Sarri said. "It's easier for an offensive player, but for a defender it's more difficult so at this moment he needs to have much more training with us. "I told him that he needs to be patient now but that he is very important for us."